Check out this AWESOME, SPORTY 2005 BMW 325ci Coupe....for the driver who demands a bit more than just basic transportation! 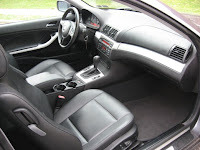 This GORGEOUS 3-Series comes in a Graphite Exterior with BLACK LEATHER Interior & Chrome Trimming. 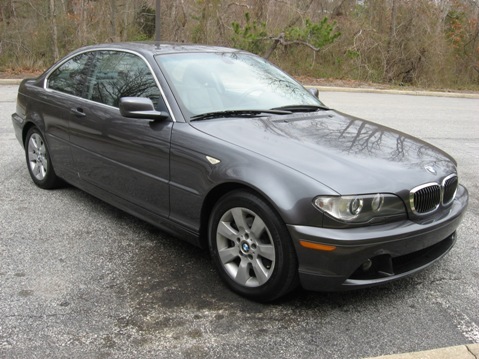 It's a VERY CLEAN, VERY NICE LOOKING BMW with LOW MILES and a CLEAN & PERFECT CARFAX History! With just over 64k miles and priced at $16,995, you're getting the BEST VALUE AROUND! Options include Power/HEATED SEATS, AM/FM Stereo with a 6-Disc CD CHANGER & IPod Adapter, Xenon Headlights, Sport Steering Wheel, Alloy Wheels, Full Power Options and lots more! At Pumpkin Fine Cars we service all of our vehicles, have them professionally detailed and PUMPKIN CERTIFIED! This 325ci comes with our "Peace of Mind" Powertrain Warranty. Stop by our INDOOR SHOWROOM and see why Pumpkin Cars are the best cars in town! CONTACT US at (609) 646-7676 or send us an email at [email protected] for more information. 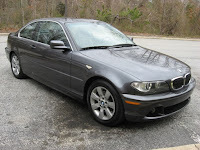 For a complete listing of our pre-owned vehicles, log onto our website anytime at http://www.pumpkincars.com/.